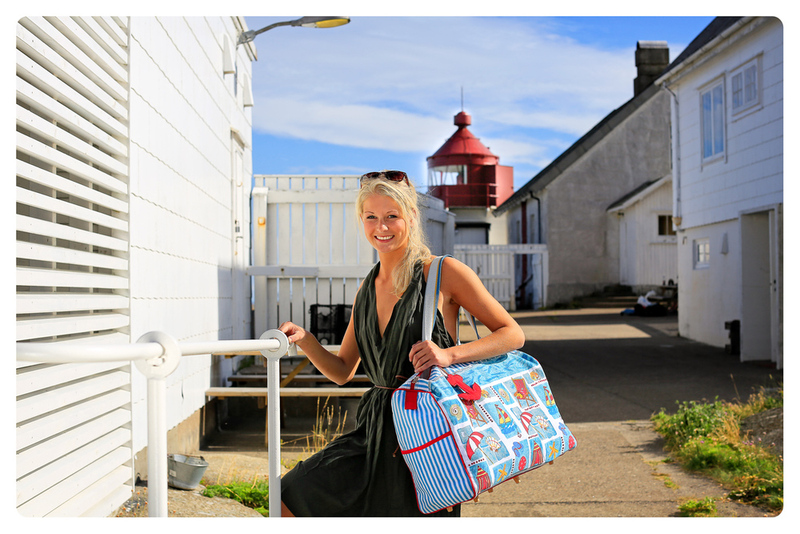 The dream of a cabin holiday in Østfold can come true using the Coastal Fairway, practically exstending along almost the entire coast with cabins and lighthouses open for accomodation to all. The Coastal Fairway cabins form a network of accomodation facilities along the coast. The size of the cabins range from two beds to an entire school class. The buildings have been used for various purposes, such as lighthouses, military barracks, boat houses, beach houses and holiday houses. Many of the cabins can only be reached by boat, but some are also accessible for bikers and hikers. A rowing boat is often included with the rental. Now you can rent these buildings for a reasonable price. The standard of the cabins is simple and you have to clean the cabin yourself after use. The Coastal Fairway wishes to inspire outdoor traffic along coastal trails and paths, and rowing, canoeing and sailing. By this the Coastal Fairway arranges for active and eco-friendly activities along the coast, while contributing to the preservation of traditions and cultural heritage. The idea stems from the time when no one traveled just for pleasure. They had a mission to fulfill, and travelers could rest and wait for better weather in guest houses. How about a few days in a lighthouse, a simple and salty experience accompanied by the sounds of the ocean, enjoying the tranquility and time to relax? All along the Norwegian coast the lighthouses lie like pearls on a string. Many of them are empty, but a lot of them have been maintained by eager enthusiasts and stand ready to welcome summer visitors. 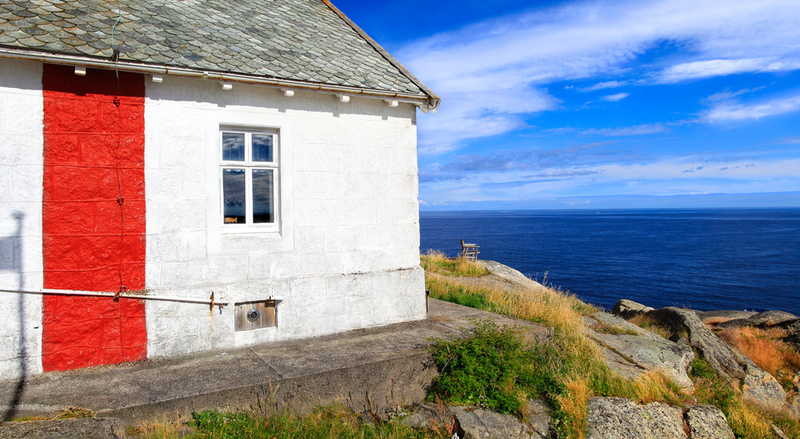 There is admittedly no hotel standard awaiting those who wish to stay at a lighthouse, because the coastal associations base their concept on the Norwegian Trekking Association's idea of cabins with basic standards and selfmade food. Members of the associations serve as voluntary hosts, and ensure that adventurous visitors get information and help. This makes the stay at the lighthouse an affordable deal. Besides beautiful nature and great experiences, you can expect clean rooms, nice beds and the possibility of cooking your own food. This somewhat primitive vacation style helps to make the stay especially attractive to modern people who otherwise are surrounded by all kinds of devices all the time. If one adds the location in the archipelago, it is kind of strange that more people are not cueing up to secure a few days at such an extraordinary resort as a lighthouse. It is, however, in fact what seems about to happen - that most people are beginning to discover this marvellous opportunity. Coastal fairways have been established from the Oslo fjord until Troms county. In Østfold you will find the fairway cabins at the Brekke locks in Halden and on the Akerøya, Homlungen and Lauer islands. In addition, the Coastal Fairway is collaborating with the foundations operating Gullholmen Lighthouse and Struten Lighthouse outside Fredrikstad. The Oslofjord Friluftsråd (Oslo Fjord Outdoor Recreation Council) is working to open even more fairway cabins along the coast of Østfold in the near future. The first fairway cabin in Østfold was officially opened on September 15, 2008. Not only was this the first fairway cabin in Østfold, it is also the first fairway cabin in the Oslo fjord which can be open throughout the year. The cabin is located on Nordre Lauer island in Hvaler municipality, next door to Skjærgårdstjenesten's workshed. Skjærgårdstjenesten has assisted in the renovation, restoration and preparation.